After visiting the charity bazaar in my secondary school, Chung Ling High School (in line with its 95th anniversary), Wooi Siang, Jia Horng, Leong Chye and I continued our day playing bowling at Penang Bowl. We played 2 games @ RM9 (RM4 each game and RM1 for shoe rental), no student price after 1pm. 147!!! 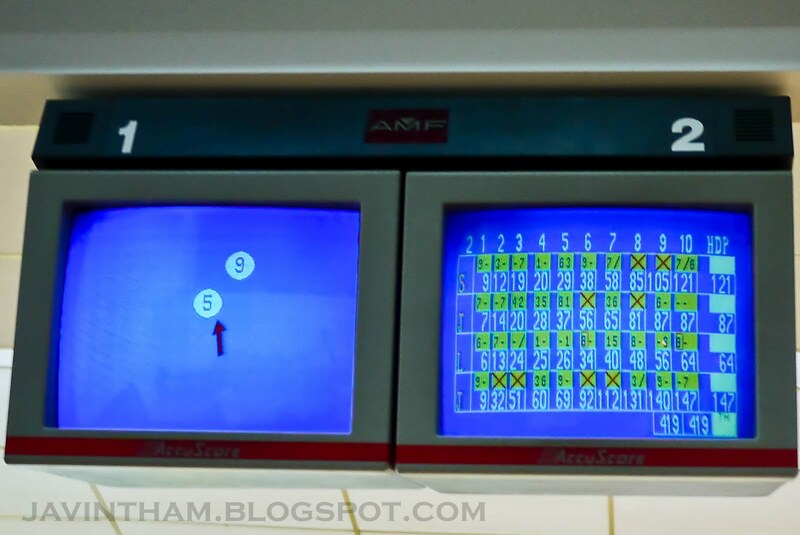 Guess what, my best so far, 3 points more then my previous record, although this is definitely not something a regular bowler takes pride in but hey, for a complete bowling amateur who doesn't even have a correct posture of releasing the bowling ball onto the lane like me, it's an achievement right? Haha... Getting a turkey would make me a better day though.